How many times, you might wonder, can you write "disaster" in the review of a new Broadway musical? When erstwhile producers name their musical Disaster!--yes, with an exclamation point--they are either asking for it, or they have a show so good that they are convinced they'll get nothing but heaping praises. I myself would not call Disaster! "Broadway's biggest disaster ever!" --hey, I saw Ari, Miss Moffat and Doctor Jazz--but it does, indeed, founder and sink kind of like cardboard in an overflowing street drain. I guess, maybe, they do want us to say, with winking eye, that Disaster! is Broadway's biggest disaster ever. Once upon a time in the 1970s, dear reader, there were a string of big-budget movies--some of them box office bonanzas--in which clusters of former movie stars (Ernest Borgnine!! Shelley Winters!!) were stranded in a sinking ship or a skyscraper ablaze, with everybody blithely heading towards the disaster (there, I said it again) and either braving it out, succumbing to the flames/floods, or both. Helen Hayes, bless her, even got herself an Oscar. How about a Broadway musical spoof of that genre, with disaster effects made out of cardboard (seemingly); a cast of dozens of legitimate if not-so-busy Broadway stars, or at least six; pop songs from the 1970s, that the crowd from New Jersey will sing and sway to; and even tap dancing and a disco ball? Can't miss? Or, maybe, can't miss being a disaster? The show comes from Seth Rudetsky, that ever-rambunctious jack-of-all-trades who most likely emits witty cracks, bell-shaped tones & campy lines in his sleep. Disaster!, in description, indeed sounds like the sort of idea Rudetsky would come up with while scrubbing the floors or dusting the piano and think: "hey! let's make a musical!" Disaster! does make a musical, methinks; but it's one of those small-scale, tongue-in-cheek romps suited for a cabaret bar or way off-Broadway. Which is, truth be told, where Disaster! was birthed, swaddled, and appreciated enough to convince erstwhile producers to blow it up--and I use those words advisedly--for Broadway, with a $135 top ticket price and premium seats, as they say, available. Faith Prince, Kevin Chamberlin and Kerry Butler in Disaster! Rudetsky's Follies is set on the first night of the Barracuda (get it), a new casino ship moored off Pier 54 in Manhattan. But it is not quite seaworthy, unlicensed to do anything but sit beside the pier, and--ominously--they never seem to have installed the fire doors. (Disaster! is nothing if not subtle.) What's more, a roaming Professor of Disasterology explains that they've drilled the pier directly into a fault line or something. (Which is about as scientific-sounding as the explanations underlying those disaster movies of the 1970s.) Rudetsky conceived this opus with Drew Geraci; wrote the book with Jack Plotnick, who herein makes his Broadway debut as both writer and director; and served as song arranger, a field in which he excels. He also plays the professorial straight man, as they say. The best parts of the evening come from the principal cast, who seem to be members of the Rudetsky B'way Circle on the one hand and nifty farceurs on the other. 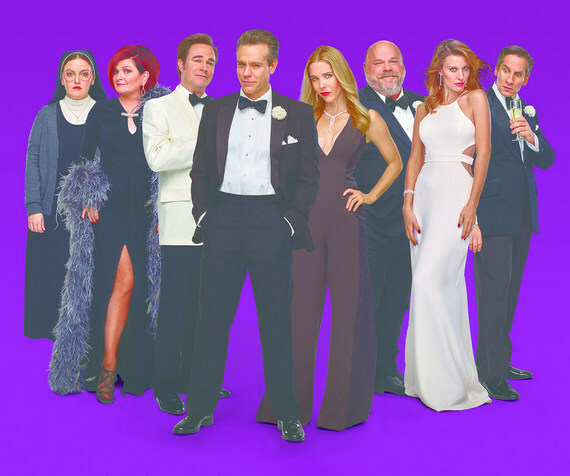 You have, in alphabetical order, Roger Bart (of The Producers), Kerry Butler (of Hairspray), Kevin Chamberlin (of Seussical), Adam Pascal (of Rent), Faith Prince (of Guys and Dolls) and Rachel York (of City of Angels). All have been known to carry shows on their own, and all herein chew their way through that cardboard scenery. They--along with a droll actress named Jennifer Simard, as a repressed and lapsed Singing Nun with a pitch-challenged guitar--make Disaster! watchable, at least. 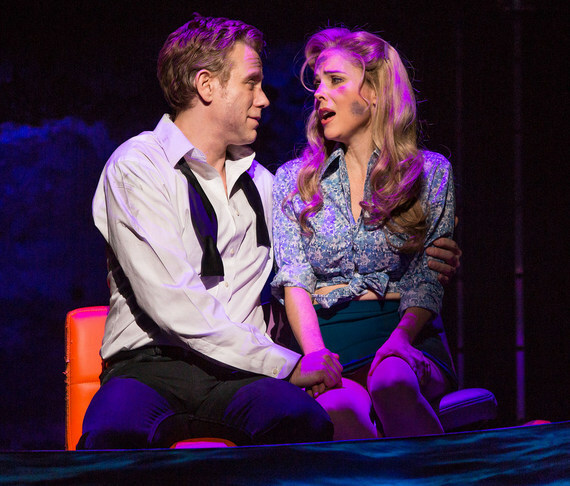 Adam Pascal and Kerry Butler in Disaster! 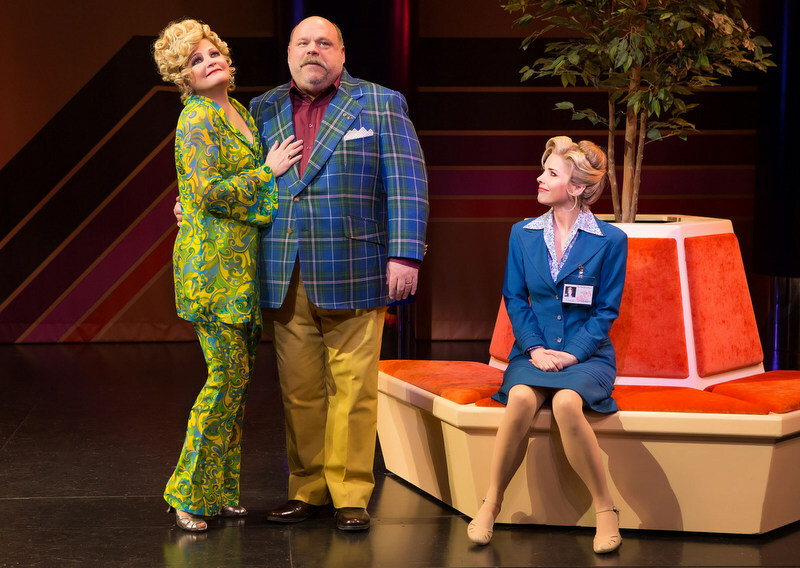 There is likely some type of audience for a way over-the-top camp-pop pastiche musical, and let us hope they find their way to the Nederlander. For everyone else, though, this "disaster" of a musical might well leave you with a sinking feeling.